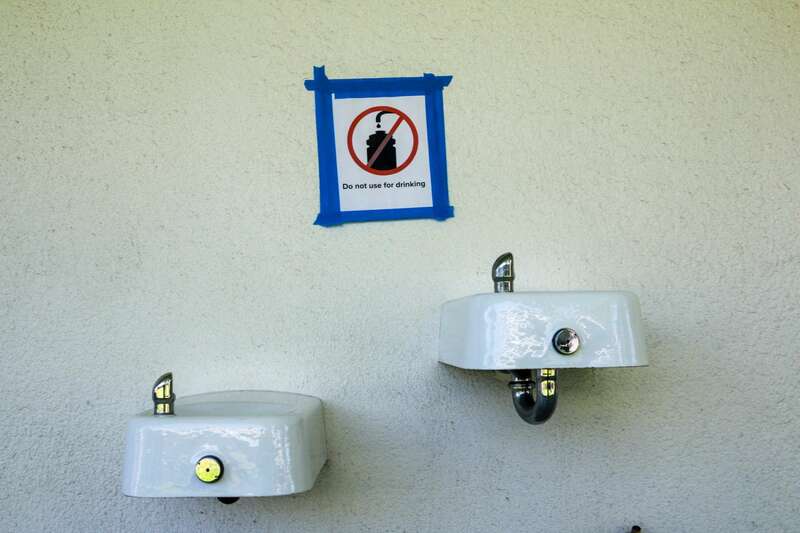 Schools fail lead tests while many states don’t require testing at all | "Global Possibilities"
At Alice Birney Elementary School in San Diego, school officials placed signs above fountains to warn children to avoid them. Like many schools across the country, her Washington, D.C. middle school discovered lead in its drinking water, making most fountains unsafe to drink. It took months to install filters sporadically around the school. School officials provided water cooler stations at Alice Birney Elementary School in San Diego after its water system tested positive for lead. For centuries, workers used lead for plumbing because the metal was malleable enough to mold into pipes, yet hard enough to resist corroding and leaking over time. Once scientists and environmental experts discovered that lead leached from pipes transporting water, Congress banned the use of lead pipes in a a 1986 amendment to the Safe Drinking Water Act. The result: Schools and child care facilities on public water systems are under no federal requirement to test their taps for lead. That means nearly 100,000 schools and half a million child care facilities aren’t regulated under the Safe Drinking Water Act, according to EPA data.. When Arizona launched a statewide lead-screening program in January, it began as a sample of “high-risk” areas based on age of building, ZIP code and the number of young children served. The program became so popular, however, that every public school – more than 11,000 – has volunteered to test. Cabrera said 96 percent of the schools have passed the screening. Arizona doesn’t require schools to replace pipes if they test positive for lead. It doesn’t have a program to help schools financially if they do find lead, and it’s unclear how these schools will respond. “I’m sure if this happened in one of our richer suburbs, it would be an issue that would be immediately remediated, or the people there would have the resources to start the remediation process themselves,” Lopez Nuñez said. Lily Hernandez, her mother Cristina and her two daughters at their home in Maywood, Calif. Hernandez donates cases of water to Fishburn Elementary School, where her daughter is a student, because she’s concerned that lead contaminates its water.